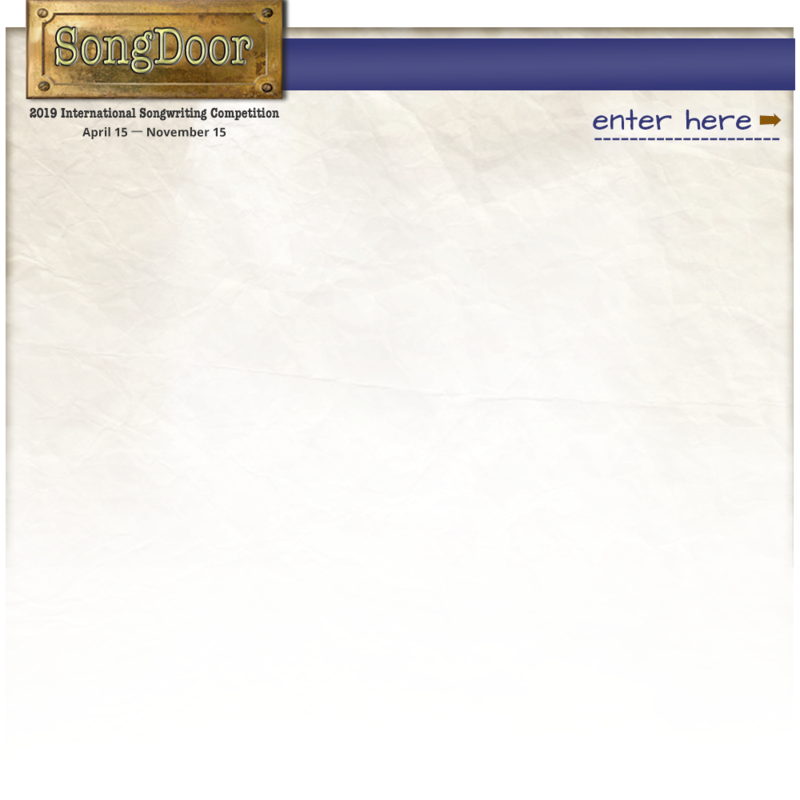 Round One: Each entry is screened by SongDoor Advisory Board members — a group of seasoned music industry artists, producers, engineers, songwriters, lyricists and musicians — who listen to every entry, in its entirety. Scoring: Each of the four elements above can earn a maximum score of 5 points. After each song is judged, the four elements scores are added together for a Round One Score. The maximum possible points for any song in Round One is 20. Round Two: The Board selects 30 songs (the best 5 songs in each category) to send on to the judges in Round Two. (These 30 finalists’ names are posted on the website.) Those songs are assigned to whichever judge’s expertise is best-suited to evaluate that category, and multiple judges will be judging each category. The top-scoring song in each category is a Category Winner. Scoring: The five songs remaining in each category are judged on their own merits, not against each other, as in Round One. The same scoring system in used in Round Two, except that a song has the opportunity to score a possible total of 100 points. The song with the highest score in each category becomes the Category Winner, and goes on to Round Three. Scoring: Each song can score a possible total of 100 points. The song with the highest total score is the Grand Award Winner. In the event of a tie, the judges will decide on a consensus basis which song should be the winner. We’re very fortunate to have a stellar judging panel again this year!